The Louisiana Supreme Court has distributed for public comment three proposed revisions to Rule XXIII governing proceedings before the Judiciary Commission. These revisions were recommended to the court by the Judiciary Commission (“JC”). 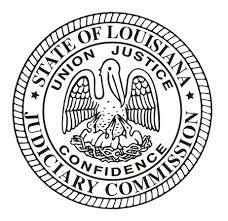 See Judiciary Commission of Louisiana, Proposed Rule Revisions to Supreme Court Rule XXIII (July 2018). This is a good proposal because it requires complainants to be accountable for their complaints. Note that the JC will still accept anonymous complaints. But, an anonymous complaint “may not be the subject of a preliminary inquiry unless it states facts, not mere conclusions, that can be independently verified and the Chair authorizes a preliminary inquiry to be made.” See LASC Rule XXII, § 3(a)(2). [O]nce the Commission closes a file or files a notice of hearing, nothing in this rule shall prevent a complainant, respondent, or witness who has given testimony pursuant to Commission proceedings from disclosing or discussing the proceedings. However, from the time a complaint is filed until the Commission closes a file or files a notice of hearing, complainants, respondents, and witnesses may not disclose or discuss the fact that a complaint was filed, the fact that testimony was given pursuant to Commission proceedings, or any information learned as a result of participating in such proceedings. However, all documents and evidence remain confidential if the Commission does not file a matter with the Supreme Court. This proposed revision —and the existing rule—are problematic under the First Amendment. The Louisiana Supreme Court has correctly held that a lawyer’s violation of the confidentiality provisions of the comparable lawyer disciplinary rule (LASC Rule XIX, § 16) does not subject the lawyer to discipline because a lawyer participating in the disciplinary process has a First Amendment right to reveal the substance of such proceedings. See In re Warner and Rando, 21 So. 3d 218 (La. 2009).1 A complainant, respondent or witness participating at any stage of a judicial discipline proceeding should have the same constitutional right to disclose, to discuss, and to criticize what his or her government is doing. Finally, the JC recommends a new provision addressing judges with “mental or physical disability or impairment.” Among other things, the new provision would establish procedures for (1) initiating incapacity proceedings, (2) conducting medical, mental health and other expert evaluations of a judge, and (3) instituting an involuntary retirement proceeding. These provisions are well-written and long overdue. Problematic is the issue of a lawyer who makes a complaint. Even if the confidentiality requirement is unconstitutional (which it most assuredly is) that still does not shield the lawyer complainant from disciplinary sanctions decided by the same body invoking the confidentiality in the first place if he/she asserts his/hers 1st Amendment rights allowing him to criticize government officials. In other words I can slam an official in the legislative or executive branch but God help me if I whisper a peep against a member of the judiciary. Additionally the issue of verified complaints makes it virtually impossible for a lawyer to file a complaint against a judge anonymously -thus the judge knows the identity of the lawyer with the attendant retribution surely to follow. Public sentiment is useless as the judges are going to do what they want regardless.